For comfortable and convenient travel from infancy through toddlerhood! KeyFit Infant Car Seat easily clicks into the seat of the Cortina CX stroller for easy transitions from your vehicle to your stroller. 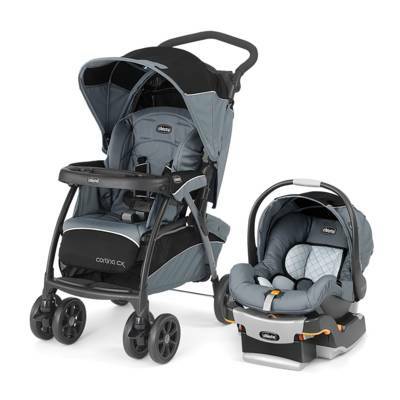 And for strolling without the KeyFit, the Cortina CX has an adjustable backrest with 8 recline positions, including a flat recline with a pop-up footrest to create a cozy bassinet for infants with enclosure on all four sides.